Do you still sketch? Or are you a bit rusty or do you want to get back into drawing and sketching? I used to sketch a lot and while I was working for “da man” as a graphic designer, I didn’t make time to continue. Sketchbook after sketchbook was purchased, but they were collecting more dust than pencil shavings. Even my moleskin ones didn’t see the light of the day. So it can be a bit scary to get back into drawing, but look what IDraw came up with! 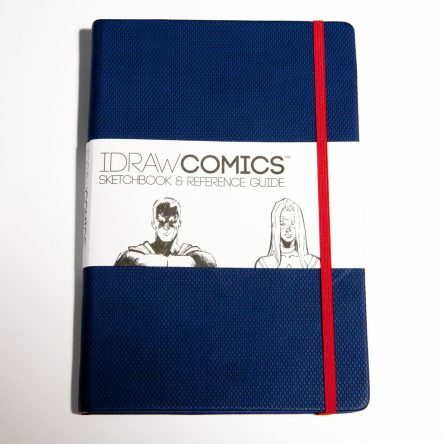 Sketchbooks for comics, cars or shoes! Now they look awesome to me and I cannot wait to get my hand on one of these. They are filled with guides, tutorials and these little innovative and beautiful looking moleskins are a must have. They are a hybrid of a comprehensive step-by-step tutorial books and a sketchpad. The IDraw Comic and guides to improve your understanding of proportion and perspective and they allow you to scan your sketch into Photoshop. Once scanned, you can easily erase those guidelines leaving only your sketches behind. Pick up a copy of IDraw Comics and check out the IDraw website for news.